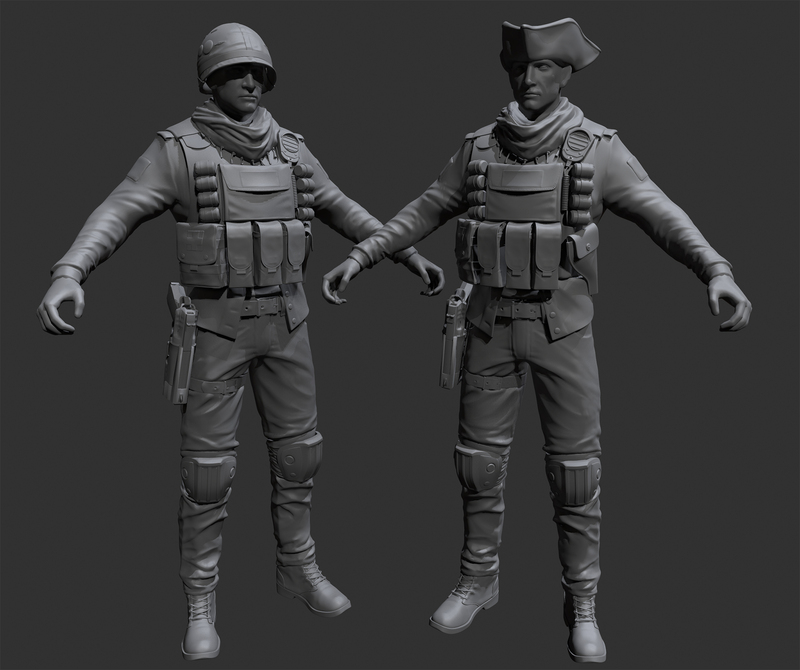 I'm planing to model a few military-ish uniforms for the minutemen, possibly to work with "We are the Minutemen" and standalone. I'll be posting more pics as I make progress. @ Corvalho1 - is this still being worked on and coming out? What's the ETA please? Lot's of us are waiting for this please let us know! It's a free mod dude, it will come out eventually. You need to be more patient. I would rather wait and have it be relatively bug free than have it be released and be full of problems. It's been 4 months and I haven't found as close to a mentioning of if this has stopped. I am going to assume it is, but you can't blame him or anyone else who is asking the question when the author never puts a mention out there about this. It's a shame too, this is a AWESOME looking npc and EVERYTHING I wanted to be the minute men, these guys are amazing. so im guessing this is dead in the water? Is this still being worked on? I would love to see this be ingame! How is it going looking forward to it can't wait must know please ???? Haaa finally! A mod that makes the Minutemen look like a functional 22th century paramilitary unit Awesome work! this is going to be a great mod especially if it replaces all of the armors that come with We Are The Minutemen mod. I really dont like those blue armors. Really nice concept, you mod is like a wine, the more time it pass the better it will get.